Weber's operas Der Freischütz, Euryanthe and Oberon greatly influenced the development of the Romantic opera in Germany. Der Freischütz came to be regarded as the first German "nationalist" opera, Euryanthe developed the Leitmotif technique to a hitherto-unprecedented degree, while Oberon may have influenced Mendelssohn's music for A Midsummer Night's Dream and, at the same time, revealed Weber's lifelong interest in the music of non-Western cultures. This interest was first manifested in Weber's incidental music for Schiller's translation of Gozzi's Turandot, for which he used a Chinese melody, making him the first Western composer to use an Asian tune that was not of the pseudo-Turkish kind popularized by Mozart and others. A brilliant pianist himself, Weber composed four sonatas, two concertos and the Konzertstück (Concert Piece) in F minor, which influenced composers such as Chopin, Liszt and Mendelssohn. The Konzertstück provided a new model for the one-movement concerto in several contrasting sections (such as Liszt's, who often played the work), and was acknowledged by Stravinsky as the model for his Capriccio for Piano and Orchestra. 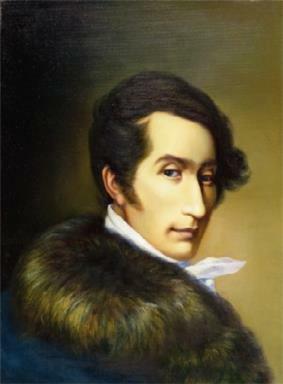 Weber's shorter piano pieces, such as the Invitation to the Dance, were later orchestrated by Berlioz, while his Polacca Brillante was later set for piano and orchestra by Liszt. Weber compositions for woodwind instruments occupy an important place in the musical repertoire. His compositions for the clarinet, which include two concertos, a concertino, a quintet, a duo concertante, and variations on a theme (posthumously), are regularly performed today. His Concertino for Horn and Orchestra requires the performer to simultaneously produce two notes by humming while playing—a technique known as "multiphonics". His bassoon concerto and the Andante e Rondo ungarese (a reworking of a piece originally for viola and orchestra) are also popular with bassoonists. Weber was born in Eutin, Holstein, the eldest of the three children of Franz Anton von Weber and his second wife, Genovefa Brenner, a Viennese singer. The "von" was an affectation; Franz Anton von Weber was not actually an aristocrat. Both his parents were Catholic and originally came from the far south of Germany. Franz Anton began his career as a military officer in the service of the Duchy of Holstein, and after being fired, went on to hold a number of musical directorships. In 1787 Franz Anton went on to Hamburg where he founded a theatrical company. Franz Anton's brother, Fridolin, married Cäcilia Stamm and had four musical daughters, Josepha, Aloysia, Constanze and Sophie, all of whom became notable singers. Wolfgang Amadeus Mozart attempted to woo Aloysia, composing several pieces for her. But after she rejected his advances, Mozart went on to marry Constanze. On 13 March 1798, Weber's mother died of Johann Nepomuk Kalcher. In 1801, the family returned to Salzburg, where Weber resumed his studies with Giacomo Meyerbeer, who became a close friend of Weber. Vogler, impressed by his pupil's talent, recommended him to the post of Director at the Breslau Opera in 1806. Weber sought to reform the Opera by pensioning off older singers, expanding the orchestra, and tackling a more challenging repertoire. His attempts at reform were met with strong resistance from the musicians and the Breslau public. Weber was already suffering from  Weber was 39 years old. 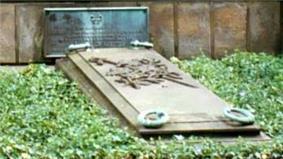 He was buried in London, but 18 years later his remains were transferred to the family vault in Dresden. The eulogy at the reburial was performed by Wagner. Morgan, Joseph E. (2014). "Nature, Weber and a Revision of the French Sublime". Síneris. Revista de musicología 15 (January). "Weber, Carl Maria Friedrich Ernest von".